Marriages are forever and so are wedding rings. The tradition of exchanging wedding rings exists in almost all parts of the world. Bride and the Groom decide to take vows to commit each other for lives by exchanging rings that are meant to be forever. When rings are supposed to be forever, they are also supposed to be the best, isn’t it? The variety in diamond rings is huge. Beautiful shining diamond studded in white gold or yellow gold can make the ring look astonishing. 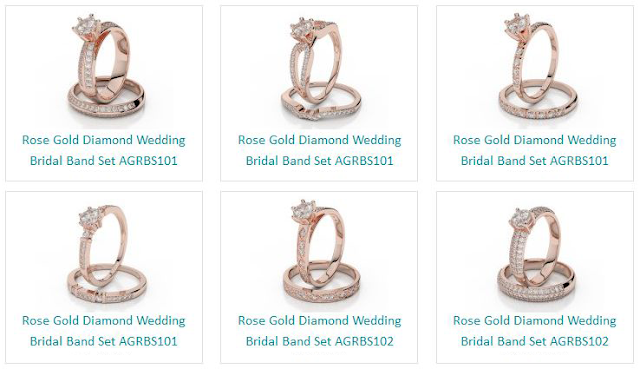 Wedding rings usually come in a pair for the bride and the groom, usually called bridal set. Where bride’s ring is a little more decorated with diamonds and stones, groom’s ring is just a band studded with small diamonds. Made perfectly to complement each other, these are meant for the couple that is made for each other. This is the perfect way to show your love for each other and to accept each other for a lifetime by wearing this ring on that special finger. Made with acute attention to detail and beautiful unique designs, these are particularly made for the special day and for the life. Wedding ring sets are available in gold and platinum usually with designed bands and a single solitaire diamond in the middle. For the groom, these are simple gold or platinum bands with small tiny diamonds studded all over band. Not only these look beautiful, but also look special. Very different than the regular rings, wedding rings are ought to be different.